Watch out, Android players! 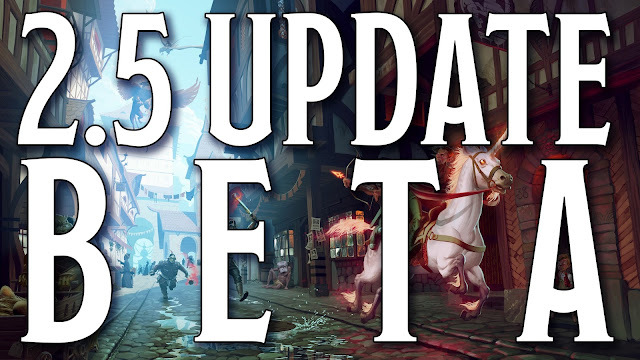 We're rolling out a new beta build of the 2.5 update to Baldur’s Gate: Enhanced Edition on Google Play. Find out how to opt into the 2.5 beta here and let us know your experiences in the Beamdog forums. Check the previous Baldur’s Gate: Enhanced Edition beta notes here. If Xan is rescued but not taken as a party member, he leaves but is waiting outside the Kobold lair (AR5404) if the party has his sword, he then interrupts and takes his sword before leaving. If the party leaves his sword in the chest it disappears when they exit the lair's area map (AR5405). Any party NPCs removed inside the Cloakwood mines will exit the map (AR1801-1804). Same goes for dungeons in general (they stay until player changes map to give opportunity for party changes). Move Ulgoth’s Beard to correct location on map (North coast above Baldur’s Gate), accessible via Baldur’s Gate North gate only until discovered for fast travel. In High Hedge, change Thalantyr dialogue to reflect having met player before. Also change all dialogue references by npcs to High Hedge referring to it as ‘estate’ rather than ‘tower’. Joseph's home is no longer locked so the player doesn't need to break in to talk to his widow. Miners in Nashkel mines use Commoner model as current one makes them look like slaves (in contrast to Cloakwood miners). Carnival shop should sell more exotic weapons instead of normal ones (scimitars, katanas etc).